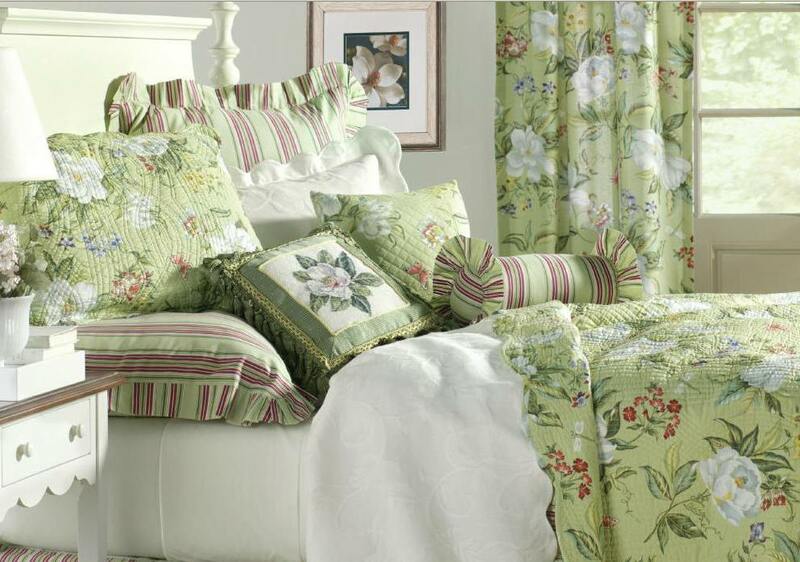 The Colonial collection introduces this graceful quilt set. 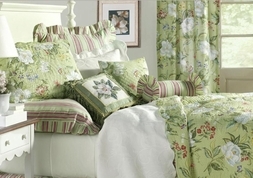 Beautiful magnolia blossoms & dragonflies resonate across a warm sage green background with a graceful pattern and reverses to a green and aubergine (purple) stripe that looks fashionable when turned back. The border has an alluring scalloped edge. 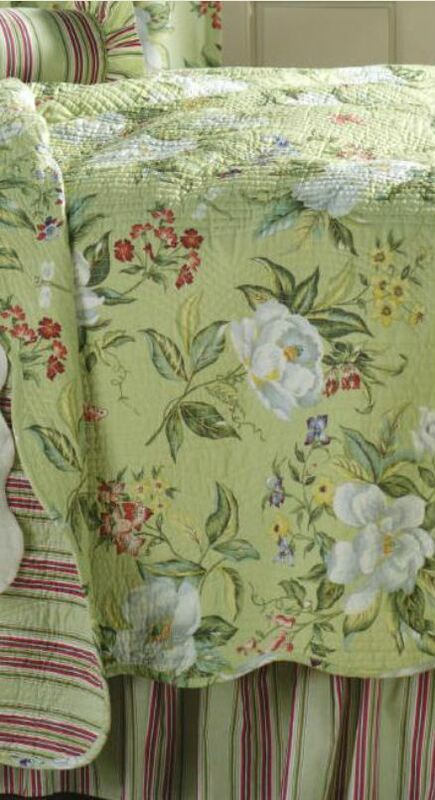 This quilt will surely add a little bit of Southern romance to any bedroom with these bold and beautiful Magnolias. Twin measures 60 x 86 in. Full/Queen measures 90 x 92 in. King measures 108 x 92 in.